We, the Church, are the Body of Christ. We are the physical representation of Jesus in the world today. 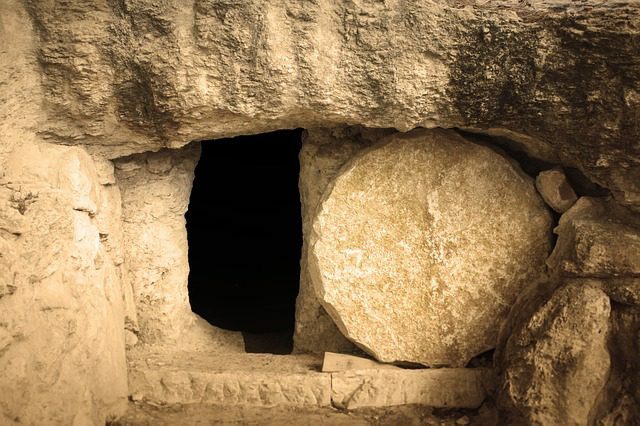 As the Body of Jesus, we seem to be much more comfortable in the dark of the tomb, wrapped in our own shroud, meditating on this death of our Lord, with the stone rolled shut across the door. We ignore that what we are called to do – as the living Body of Jesus – is to go out and proclaim, demonstrate and testify with our lives the awesome miracle that “Jesus is Alive!” and that we are living examples of this fact. What I long for is the day when we are bold enough to declare, as one people, with one voice, that Jesus is Alive, and that our conduct in the world would bear witness to this fact. Our inactivity, our apathy, our aversion to serve others and live out the compassion of Jesus, sadly proclaims that Jesus is dead. It’s when we live for Him, when we continue to love the way He did, when our lives are in sync with His, that we proclaim by our actions that, yes, indeed, Jesus is really alive! Is Jesus really alive? Has He really come to live in your life? And how would anyone know this to be true if you never actually demonstrated the life and love and ministry of Jesus in your own life? Do we, as individual followers of Jesus, feel safer within the quiet of the tomb? Or are we willing, even eager, to roll away the stone and begin to live the truth of the power of the Gospel? If we, the Body of Jesus, do not act as a living Jesus would, within this world, loving those He loved, sharing with those He spent time with, continuing His ministry of transformation, then we do not demonstrate that Jesus is alive, we simply testify that He has died. What we must do is to wake ourselves from our slumber, shake off the apathy, and begin to proclaim, with our own lives, that Jesus is truly alive. Is He Risen? Is He Risen Indeed? People are waiting to see. How would you distinguish between JOY and HAPPINESS? For many people, they are the same. 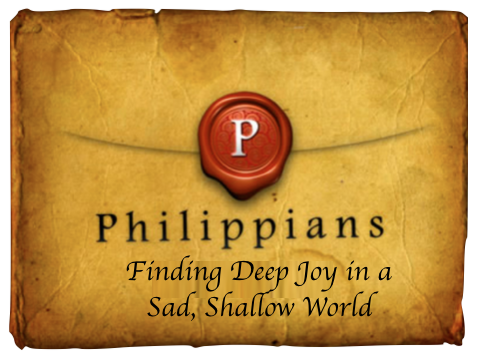 But “deep joy,” lasting joy, is more solid, more permanent, than the flitting feeling of giddiness sometimes bestowed by our stingy culture. True, deep JOY goes beyond circumstances. It is deeper than the vicissitudes of life. [I knew that “vicissitudes” was a word, but I had to look up the spelling]. Vicissitudes are “successive, alternating, orchanging phases or conditions, as of life or fortune; ups and downs.” JOY transcends the ups and downs of life. But this kind of profound JOY is not the same as stoicism, a gritting-of-one’s-teeth to resignedly toughen out life. This kind of JOY recognizes life’s tragedies, catastrophes, and collapses, but remains steadfast and permanent and accessible. I grew up in Brisbane, Australia, and attended a primary school where there was a motto written over the door of every classroom. The only one I remember is today’s verse taken from the Bible: “Whatever your hand finds to do, do it with your might”—that is, whatever you do, do it to the best of your ability and do it with enthusiasm. That’s one motto I have tried to live by and, with God’s help, plan to continue for the rest of my life. Everyone has been given at least one gift/talent—most of us several. May we all use them to the best of our ability to serve God and our fellow man and thereby help make our homes and our world a better place in which to live.